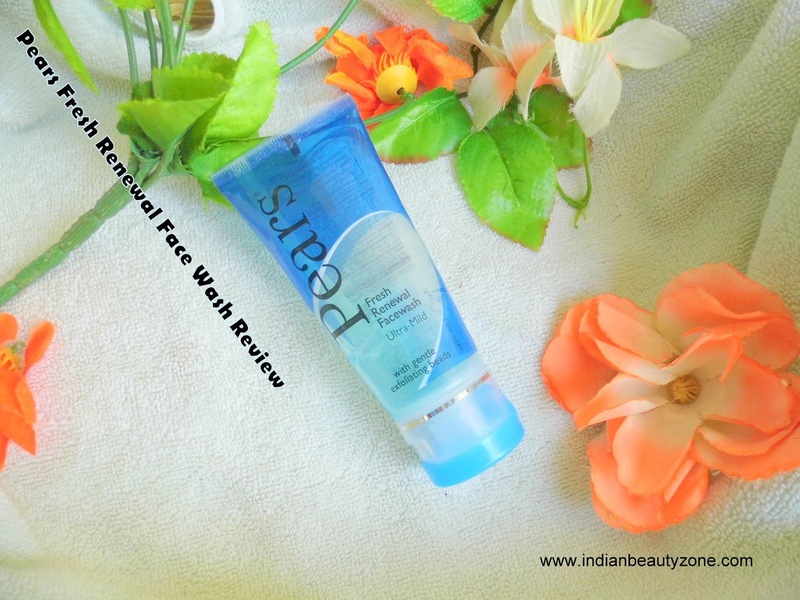 Pears Fresh Renewal Face Wash for normal skin contains gentle exfoliating beads and cooling crystals, the face wash deep cleanse and washes away dead skin cells well, it gives a fresh and renewed skin, it is 100% soap free, use it twice daily for best results. The face wash comes in a normal face wash tube packaging with a flip open cap which is absolutely travel friendly at any time. he packaging is transparent and looks blue in colour. The texture of this face wash is like a sticky jelly and can tell it is a semi solid which is not easily ran out of your hands when you take out. The smell which I found slightly weird but related to menthol. 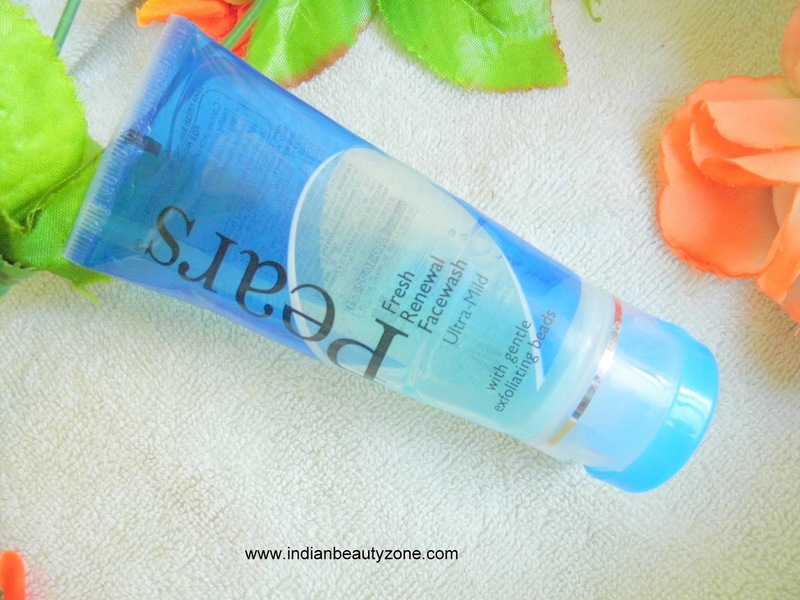 The colour of the face wash is blue and have tiny exfoliating beads in it. 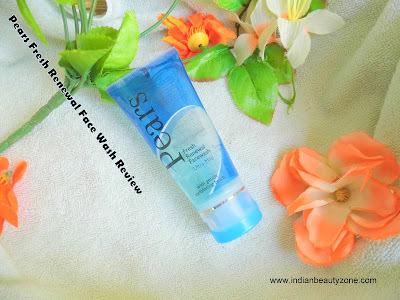 I was using this face wash during peek summer when my skin becomes more oily and dull. I use it twice a day mostly and this face wash lathers quite well which I need to clean my face well. I have sensitive oily acne prone skin, so products with SLES or SLS will not suits for me easily. But, to my surprise this face wash suited me well and I had no allergy issue with this face wash. The exfoliating beads cleanse my skin well with lather and I feel fresh and brightness immediately after every wash. It keeps oiliness at bay for long time and I notice my skin behaved well and didn't produce more pimples as I happened to see more pimples during summer. Seems this face wash controlled my sebum production well. I am really impressed with this face wash and I never felt dryness after washing. So, I think dry skin people also can try this face wash with a good moisture follow up. This face wash is best suitable for normal to oily skin people and combination skin people also can try this face wash. Cool menthol effect when you wash.
Best for oily, combination and normal skin people. Not an annoying runny texture. The face wash is mild and best for daily use.